Alicia White is a valuable resource for coaches, speakers, consultatns and business owners who want to look like the xpert they are. 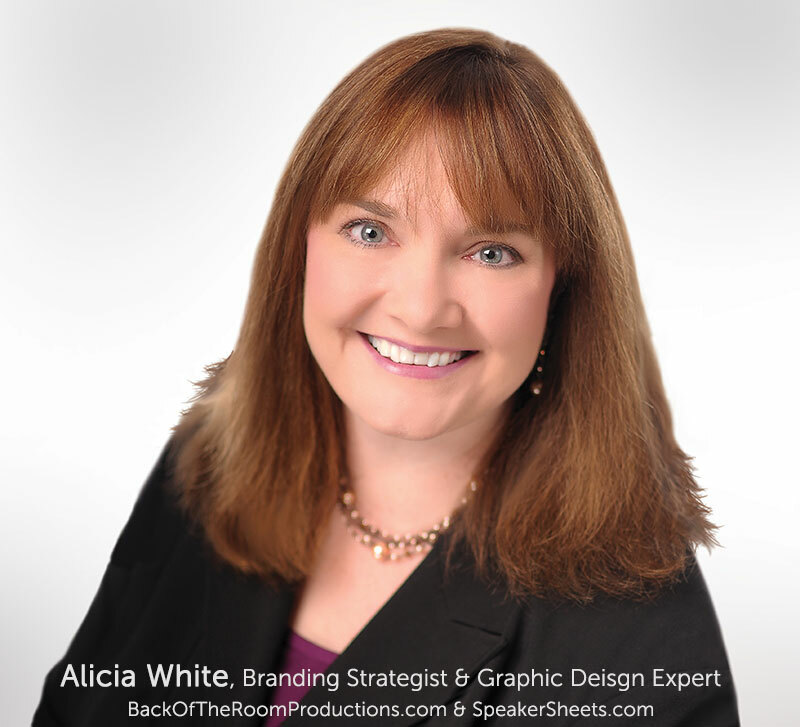 With over 20 years of experience, Alicia offers solid branding strategy and professional, on-target marketing materials that make a lasting impression. Clients love her graphic design skills and also get peace of mind and direction after a single strategy consultation. 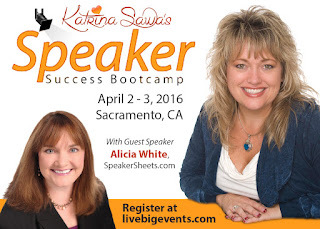 As founder of Back of the Room Productions™, Alicia is a speaker and an international best selling author. She is a two-time award recipient of the Texas Intercollegiate Press Association, has been nominated for several business awards and serves as a Partnering Director of the Public Speakers Association. Learn more about her by signing up for her valuable tips on public speaking here! These Tabletop Retractable Banners ROCK! Get Paid Even if it’s a No Fee Gig! Public Speakers Association Logo - New Design!